Toppmøtet om Vietnam som fant sted i Manila, Filippinene for 45 år siden, den 24. oktober 1966, dreide seg om kampen for frihet i Vietnam og situasjonen i asiatiske og stillehavsområder. Til konferansen kom representanter fra sju land: Sør-Vietnam (Nguyen Van Thieu og Nguyen Cao Ky), Filippinene (President Ferdinand E. Marcos), Sør-Korea (President Park Chung Hee), Thailand (statsminister Thanom Kittikachorn), Australia (statsminister Harold Holt), New Zealand (statsminister Keith Holyoake) og USA (president Lyndon B. Johnson). Sør-Vietnam var i 1966 fortsatt under kontroll av generalene. Men på konferansen ble det erklært at Sør-Vietnam var på vei mot demokratiske former. Dette er et lite, men viktig skritt i demokratisk retning. Toppmøtet om Vietnam i Manila 24.10.1966. Halvt demokratiske land som Sør-Korea, Filippinnene og Thailand fikk være i fred for å utvikle sitt demokrati, mens Sør-Vietnam fikk ikke fullført sin demokratisering før kommunistene tok over. 13. Den vietnamesiske regjeringen erklærte at den utarbeider en rekke tiltak for å modernisere landbruket og å sikre landbruksarbeiderne fruktene av eget arbeid. Jordreform og jordeierforhold vil bli gitt topp prioritet. Landbrukskreditt vil bli utvidet. Avlinger vil bli bedre og diversifisert. 21. De vietnamesiske representantene utrrykte sin forventning om at arbeidet med grunnloven skulle gå raskt fram og kunne fullføres før fristen i mars 1967. Grunnloven vil deretter bli kunngjort, og valg vil bli holdt innen seks måneder for å velge en folkevalgt regjering. 22. Den vietnamesiske Regjeringen mener at den demokratiske prosessen må styrkes på lokalt, så vel som nasjonalt nivå. Regjeringen i Vietnam kunngjorde at den for dette formål vil begynne å holde landsby- og kommunevalg i begynnelsen av 1967. Lokale valg ble holdt i 1966 og 1967, tross kommunistenes trakassering av kandidatene og stemmegiverne. Den nye grunnloven ble innført året etter, se artikkelen om den nye grunnloven i denne bloggen. Jordreformen kom i 1970, også tidligere nevnt i denne bloggen. Sør-Vietnam ble ikke mønstergyldig demokratisk over natten, heller ikke ble alle bønder jordeiere i løpet av et år. Men maken til slike innfrielser av løfter er heller sjelden i land som lever i fred, for ikke å snakke om i et land i krig. 1. To be free from aggression. 2. To conquer hunger, illiteracy, and disease. 3. To build a region of security, order, and progress. 4. To seek reconciliation and peace throughout Asia and the Pacific. 1. In response to an invitation from the President of the Republic of the Philippines, after consultations with the President of the Republic of Korea and the Prime Ministers of Thailand and the Republic of Vietnam, the leaders of seven nations in the Asian and Pacific region held a summit conference in Manila on October 24 and 25, 1966, to consider the conflict in South Vietnam and to review their wider purposes in Asia and the Pacific. 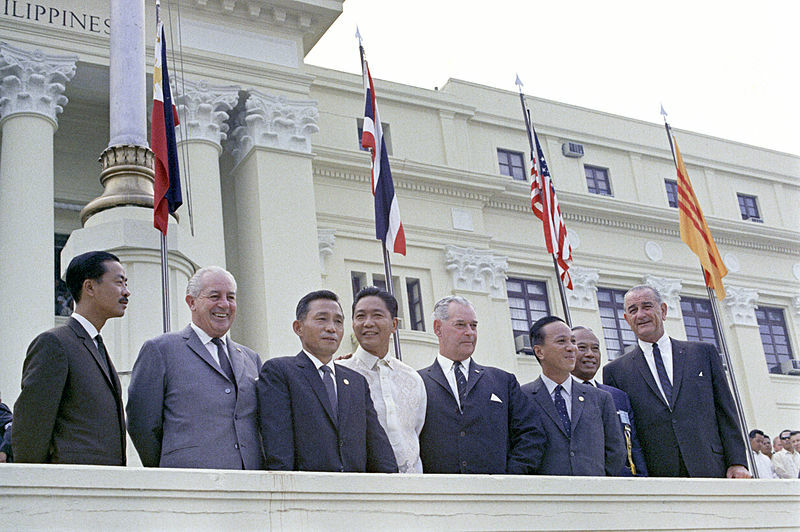 The participants were Prime Minister Harold Holt of Australia, President Park Chung Hee of the Republic of Korea, Prime Minister Keith Holyoake of New Zealand, President Ferdinand E. Marcos of the Philippines, Prime Minister Thanom Kittikachorn of Thailand, President Lyndon B. Johnson of the United States of America, and Chairman Nguyen Van Thieu and Prime Minister Nguyen Cao Ky of the Republic of Vietnam. 2. The nations represented at this conference are united in their determination that the freedom of South Vietnam be secured, in their resolve for peace, and in their deep concern for the future of Asia and the Pacific. Some of us are now close to the actual danger, while others have learned to know its significance through bitter past experience. This conference symbolizes our common purposes and high hopes. 3. We are united in our determination that the South Vietnamese people shall not be conquered by aggressive force and shall enjoy the inherent right to choose their own way of life and their own form of government. We shall continue our military and all other efforts, as firmly and as long as may be necessary, in close consultation among ourselves until the aggression is ended. 4. At the same time our united purpose is peace–peace in South Vietnam and in the rest of Asia and the Pacific. Our common commitment is to the defense of the South Vietnamese people. Our sole demand on the leaders of North Vietnam is that they abandon their aggression. We are prepared to pursue any avenue which could lead to a secure and just peace, whether through discussion and negotiation or through reciprocal actions by both sides to reduce the violence. 5. We are united in looking to a peaceful and prosperous future for all of Asia and the Pacific. We have therefore set forth in a separate declaration a statement of the principles that guide our common actions in this wider sphere. 6. Actions taken in pursuance of the policies herein stated shall be in accordance with our respective constitutional processes. 7. The Government of Vietnam described the significant military progress being made against aggression. It noted with particular gratitude the substantial contribution being made by free world forces. 8. Nonetheless, the leaders noted that the movement of forces from North Vietnam continues at a high rate and that firm military action and free world support continue to be required to meet the threat. The necessity for such military action and support must depend for its size and duration on the intensity and duration of the Communist aggression itself. 9. In their discussion, the leaders reviewed the problem of prisoners of war. The participants observed that Hanoi has consistently refused to cooperate with the International Committee of the Red Cross in the application of the Geneva Conventions, and called on Hanoi to do so. They reaffirmed their determination to comply fully with the Geneva Conventions of 1949 for the Protection of War Victims, and welcomed the resolution adopted by the Executive Committee of the League of Red Cross Societies on October 8, 1966, calling for compliance with the Geneva Conventions in the Vietnam conflict, full support for the International Committee of the Red Cross, and immediate action to repatriate seriously sick and wounded prisoners of war. They agreed to work toward the fulfillment of this resolution, in cooperation with the International Committee of the Red Cross, and indicated their willingness to meet under the auspices of the ICRC or in any appropriate forum to discuss the immediate exchange of prisoners. 10. The participating governments concentrated particular attention on the accelerating efforts of the Government of Vietnam to forge a social revolution of hope and progress. Even as the conflict continues, the effort goes forward to overcome the tyranny of poverty, disease, illiteracy and social injustice. 11. The Vietnamese leaders stated their intent to train and assign a substantial share of the armed forces to clear-and-hold actions in order to provide a shield behind which a new society can be built. 12. In the field of Revolutionary Development, measures along the lines developed in the past year and a half will be expanded and intensified. The training of Revolutionary Development cadres will be improved. More electricity and good water will be provided. More and better schools will be built and staffed. Refugees will be taught new skills. Health and medical facilities will be expanded. 13. The Vietnamese Government declared that it is working out a series of measures to modernize agriculture and to assure the cultivator the fruits of his labors. Land reform and tenure provisions will be granted top priority. Agricultural credit will be expanded. Crops will be improved and diversified. 14. The Vietnamese leaders emphasized that underlying these measures to build confidence and cooperation among the people there must be popular conviction that honesty, efficiency and social justice form solid cornerstones of the Vietnamese Government’s programs. 15. This is a program each of the conferring governments has reason to applaud recognizing that it opens a brighter hope for the people of Vietnam. Each pledged its continuing assistance according to its means, whether in funds or skilled technicians or equipment. They noted also the help in non-military fields being given by other countries and expressed the hope that this help will be substantially increased. 16. The Conference was told of the success of the Government of Vietnam in controlling the inflation which, if unchecked, could undercut all efforts to bring a more fulfilling life to the Vietnamese people. However, the Vietnamese leaders reaffirmed that only by constant effort could inflation be kept under control. They described their intention to enforce a vigorous stabilization program, to control spending, increase revenues, and seek to promote savings in order to hold the 1967 inflationary gap to the minimum practicable level. They also plan to take further measures to insure maximum utilization of the Port of Saigon, so that imports urgently needed to fuel the military effort and buttress the civil economy can flow rapidly into Vietnam. 1On December 16, 1966, the White House announced that in response to a request from Prime Minister Nguyen Cao Ky of the Republic of Vietnam the U.S. Government would join with South Vietnam in a joint effort on the long-run development of the Vietnamese economy. The release stated that David Lilienthal had agreed to organize a group from his Development and Resources Corporation and other U.S. sources with experience in development planning. The release pointed out that this group, operating under contract to the Agency for International Development, would work closely with a counterpart Vietnamese team led by Professor Nguyen Dang Thuc of the University of Saigon (2 Weekly Comp. Pres. Docs., p. 1799). 18. Military installations where appropriate will be converted to this purpose, and plans for this will be included. 19. The conferring nations reaffirmed their continuing support for Vietnamese efforts to achieve economic stability and progress. Thailand specifically noted its readiness to extend substantial new credit assistance for the purchase of rice and the other nations present reported a number of plans for the supply of food or other actions related to the economic situation. At the same time the participants agreed to appeal to other nations and to international organizations committed to the full and free development of every nation, for further assistance to the Republic of Vietnam. 20. The representatives of Vietnam noted that, even as the Conference met, steps were being taken to establish a new constitutional system for the Republic of Vietnam through the work of the Constituent Assembly, chosen by so large a proportion of the electorate last month. 21. 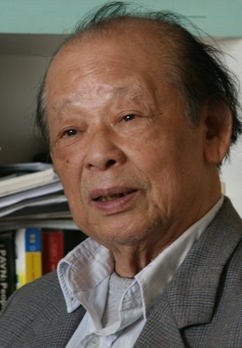 The Vietnamese representatives stated their expectation that work on the Constitution would go forward rapidly and could be completed before the deadline of March 1967. The Constitution will then be promulgated and elections will be held within six months to select a representative government. 22. The Vietnamese Government believes that the democratic process must be strengthened at the local as well as the national level. The Government of Vietnam announced that to this end it will begin holding village and hamlet elections at the beginning of 1967. 23. The Government of Vietnam announced that it is preparing a program of National Reconciliation. It declared its determination to open all doors to those Vietnamese who have been misled or coerced into casting their lot with the Viet Cong. The Government seeks to bring them back to participate as free men in national life under amnesty and other measures. Former enemies are asked only to lay down their weapons and bring their skills to the service of the South Vietnamese people. 24. The other participating nations welcomed the stated expectation of the Vietnamese representatives that work on the Constitution will proceed on schedule, and concurred in the conviction of the Government of the Republic of Vietnam that building representative, constitutional government and opening the way for national reconciliation are indispensable to the future of a free Vietnam. 25. The participants devoted a major share of their deliberations to peace objectives and the search for a peaceful settlement in South Vietnam. They reviewed in detail the many efforts for peace that have been undertaken, by themselves and other nations, and the actions of the United Nations and of His Holiness the Pope. It was clearly understood that the settlement of the war in Vietnam depends on the readiness and willingness of the parties concerned to explore and work out together a just and reasonable solution. They noted that Hanoi still showed no sign of taking any step toward peace, either by action or by entering into discussions or negotiations. Nevertheless, the participants agreed that the search for peace must continue. 26. The Government of the Republic of Vietnam declared that the Vietnamese people, having suffered the ravages of war for more than two decades, were second to none in their desire for peace. It welcomes any initiative that will lead to an end to hostilities, preserves the independence of South Vietnam and protects the right to choose their own way of life. (1) Cessation of Aggression. At issue in Vietnam is a struggle for the preservation of values which people everywhere have cherished since the dawn of history: the independence of peoples and the freedom of individuals. The people of South Vietnam asked only that the aggression that threatens their independence and the externally supported terror that threatens their freedom be halted. No self-respecting people can ask for less. No peace-loving nation should ask for more. (2) Preservation of the Territorial Integrity of South Vietnam. The people of South Vietnam are defending their own territory against those seeking to obtain by force and terror what they have been unable to accomplish by peaceful means. While sympathizing with the plight of their brothers in the North and while disdaining the regime in the North, the South Vietnamese people have no desire to threaten or harm the people of the North or invade their country. (3) Reunification of Vietnam. The Government and people of South Vietnam deplore the partition of Vietnam into North and South. But this partition brought about by the Geneva Agreements of 1954, however unfortunate and regrettable, will be respected until, by the free choice of all Vietnamese, reunification is achieved. (4) Resolution of Internal Problems. The people of South Vietnam seek to resolve their own internal differences and to this end are prepared to engage in a program of national reconciliation. When the aggression has stopped, the people of South Vietnam will move more rapidly toward reconciliation of all elements in the society and will move forward, through the democratic process, toward human dignity, prosperity and lasting peace. (5) Removal of Allied Military Forces. The people of South Vietnam will ask their allies to remove their forces and evacuate their installations as the military and subversive forces of North Vietnam are withdrawn, infiltration ceases, and the level of violence thus subsides. (6) Effective Guarantees. The people of South Vietnam, mindful of their experience since 1954, insist that any negotiations leading to the end of hostilities incorporate effective international guarantees. They are open-minded as such guarantees can be applied and made effective. 28. The other participating governments reviewed and endorsed these as essential elements of peace and agreed they would act on this basis in close consultation among themselves in regard to settlement of the conflict. 29. In particular, they declared that Allied forces are in the Republic of Vietnam because that country is the object of aggression and its government requested support in the resistance of its people to aggression. They shall be withdrawn, after close consultation, as the other side withdraws its forces to the North, ceases infiltration, and the level of violence thus subsides. Those forces will be withdrawn as soon as possible and not later than six months after the above conditions have been fulfilled. 30. All the participants agreed that the value of a meeting among the seven nations had been abundantly demonstrated by the candid and thorough discussions held. It was further agreed that, in addition to the close consultation already maintained through diplomatic channels, there should be regular meetings among their Ambassadors in Saigon in association with the Government of the Republic of Vietnam. Meetings of their Foreign Ministers and Heads of Government will also be held as required. 31. At the close of the meeting, all the visiting participants expressed their deep gratitude to President Marcos and to the Government of the Republic of the Philippines for offering Manila as the conference site, and expressed their appreciation for the highly efficient arrangements. Citation: Lyndon B. Johnson: «Manila Summit Conference Documents.,» October 25, 1966. Online by Gerhard Peters and John T. Woolley, The American Presidency Project. http://www.presidency.ucsb.edu/ws/?pid=27958. 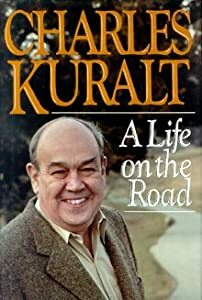 Charles Kuralt (1934-1997) var en kjent amerikansk journalist som arbeidet for CBS. Han kom til Saigon, Sør-Vietnam i 1961. Der traff han den sør-vietnamesiske løytnanten Son, som han fortalte om i boken «A Life On The Road» (Putnam, 1990). Jeg oppdaget at Saigon var den mest forførende av alle byer. Krigen på landsbygda hadde ennå ikke hatt noen innflytelse på hovedstaden. Alle menneskene jeg møtte, lærere, journalister, servitører og taxisjåfører, var vennlige og hensynsfulle. Kvinnene var vakre, tenkte jeg, de gled på veien i sine drakter, og vårværet var nydelig, og fortaukafeer herlige. Jeg gikk om dagen langs veier under treskygger, og lå om natten i sengen under det late takviftet på rommet på den gamle Majestic Hotel, lyttet til trasfikklyden fra elven … Dette er verdt å forsvare, tenkte jeg. Dersom denne solfylte, forførende byen noensinne faller under kommunistene og blir grå og disiplinert, det er bare ikke noe håp for sivilisasjon. «Løytnant Son hadde fått en kule i armen, men han var fortsatt i aksjon, knelende på bakken ved siden av sin radiooperatør, dreide håndtaket på Magneto-opererte radio, han prøvde å ringe bataljonhovedkvarteret for forsterkninger … Men det var til ingen nytte. Det kom ikke noe svar. Vi var utenfor av radioens rekkevidde. «Son var oppe og gikk rundt på avklaringsområdet nå, oppmuntret sine soldater som overlevde …. Ett eneste skudd ble avfyrt fra skogen. Det traff Sons hjelm i midten av baksiden og gikk ut foran. Han rykket fremover mot meg og falt i bakken …. Jeg var aldri i stand til å få Son ut av mitt sinn. Gjennom alle årene i Vietnamkrigen tenkte jeg på ham. Jeg vendte tilbake til Vietnam flere ganger, gikk ut i på landsbygda med tropper igjen – de var amerikanske soldater da – og var til stede når andre gode menn ble drept i jungelen. «Etter hvert som krigen dro ut uten klar seier og det amerikanske tapet økte, ble det moteriktig i USA å si at de amerikanske guttene døde for ingenting. Alle mine venner ble enige om at det var en umoralsk krig, imperialistiske USA mot «det vietnamesiske folket». Myndighetene i Vietnam satte i 2007 i gang arbeidet med å bygge et gigantisk monument til minne om de «heroiske mødrene». Disse hadde ofret sine barn i krigen som kommunistene førte mot Sør-Vietnam. Vietnameserne i landet raser mot det kostbare prosjektet, som nå ser ut til å koste rundt 20 millioner US-dollar. Når det blir ferdig vil monumentet være det største monumentet i Sørøst-Asia. Et liknende monument ble reist i den tidligere sovjetiske byen Stalingrad og ruver 102 meter over bakken. Det sovjetiske monumentet Mamayev Kurgan («Motherland Calls») minnes om de sovjetiske soldatene som falt i slaget ved Stalingrad i 1942. 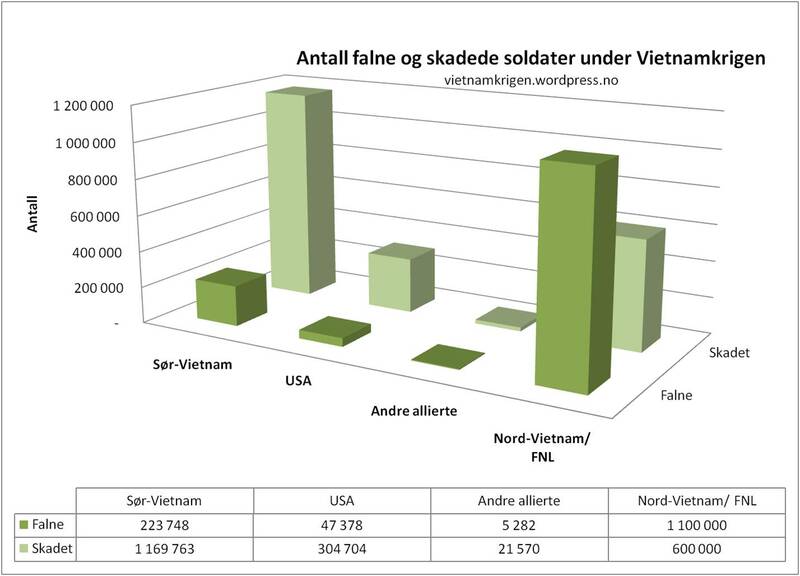 I Vietnamkrigen falt 1,1 millioner soldater fra den nordvietnamesiske siden og 250.000 fra den sørvietnamesiske siden (Les Fakta om Vietnamkrigen og krigens konsekvenser). Flere hundretusen mødre mistet sine kjære soldatbarn. Det er derfor forståelig at også soldatenes mødre hedres. Men den tidligere nordvietnamesiske obersten Bui Tin, som nå bor i Paris, reagerer på byggingen av monumentet. Hvorfor? «Jeg har en søster og en kusine som begge hadde barn som ble født i Nord og død i Sør. Dissse døde 20 år gamle. De var skoleflinke, hadde fått innkalling til universitetet men måtte bære våpen til Sør under press fra ledelsen. Jeg forstår godt min søsters og kusines psykologi. Allerede da, i 1967, hadde de vondt når barna skulle reise vekk, for ikke å snakke om at når soldatene nesten aldri kom tilbake. Men kvinnene måtte svelge tårene og vise falske smiler tross knuste hjerter. Presset fra propagandaen, høytalerne, samfunnet, skolen, kommunistungdomsorganisasjonen var forferdelig. Etter 30. april 1975 kom min søster og kusine til Quang Ngai, Binh Dinh for å lete etter levningene etter barna sine uten hell. De traff igjen 4 andre søstre som bodde i Saigon og som hadde forlatt Hanoi i 1954, og forsoningen mellom dem kom straks. Siden da har jeg forstått gjennom min søster og kusine at mange vietnamesiske mødre tidlig innså at de, barna deres, familien og folket var alle sammen ofre. Deres patriotisme ble utnyttet for å tilfredsstille kommunistenes egne ambisjon om styremakten. Derfor er det nåværende regimet langt dårligere enn det tidligere sørvietnamesiske regimet både når det gjelder demokrati, frihet, menneskerettigheter og sosial rettferdighet. 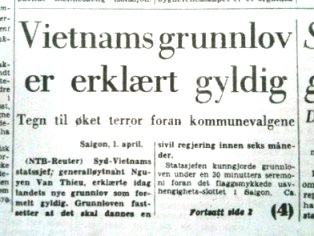 Over en million falne soldater fra begge sider av Vietnam. Tôi có bà chị ruột và một bà chị con ông bác ruột đều có con sinh Bắc tử Nam, chết ở tuổi 20 khi do học giỏi đã được gọi vào đại học, nhưng vẫn phải cầm súng vào Nam theo cưỡng ép của lãnh đạo. Tôi hiểu rõ tâm lý của 2 chị tôi. Ngay hồi ấy, năm 1967, 2 bà đã đau lòng không muốn cho con đi xa, huống chi là đi vào nơi các em phần lớn là không có ngày trở về, nhưng vẫn phải nuốt nước mắt xé lòng, tan nát ruột gan mà gượng cười. Sức ép của tuyên truyền, loa đài, của xã hội, của nhà trường, Đoàn Thanh niên Cộng sản thật ghê gớm. Sau 30-4-1975 các bà chị tôi vào tận Quảng Ngãi, Bình Định tìm xác con mà không sao thấy. 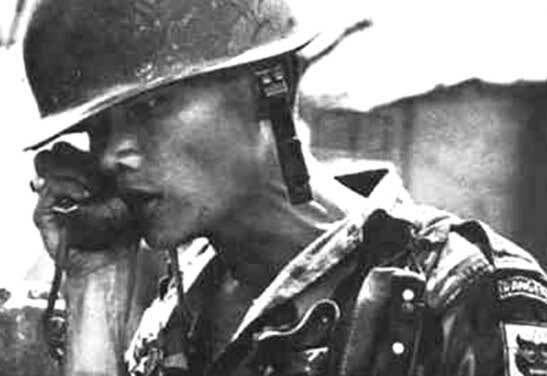 Các bà gặp được 4 bà chị em ruột khác ở Sài gòn, từ Hà Nội vào từ hồi 1954, từ đó tự hòa hợp hòa giải với nhau tự nhiên, lập tức. Từ đó tôi hiểu rõ qua 2 chị tôi là nhiều bà mẹ Việt Nam sớm nhận ra rằng bản thân mình và con mình, gia đình mình, đồng bào mình đều là nạn nhân, bị lợi dụng lòng yêu nước để thỏa mãn tham vọng riêng của đảng CS là nắm độc quyền cai trị, do đó chế độ hiện tại ở cả nước còn kém xa chế độ ở miền Nam trước đây về dân chủ, tự do, nhân quyền, cả về công bằng xã hội. Do đó theo tôi nghĩ, một bức tượng chân thực bà mẹ Việt Nam nên là một bà mẹ giương đôi mắt, mở to miệng, thét lớn: “Trả con tôi đây! con tôi bị chết oan!”. Các bà mẹ ấy hiểu rõ rằng con các bà khi hy sinh đều nghĩ rằng tổ quốc sẽ có độc lập, dân ta sẽ có tự do. Nếu các con của các Mẹ biết trước rằng họ sẽ nhượng đất, nhượng biển, đảo cho quân bành trướng, và họ sẽ đàn áp, đạp giày vào mặt người yêu nước, thì con các bà không bao giờ hy sinh mạng quý của mình nhẹ nhàng như thế. Họ là nạn nhân của tham vọng đảng phái. Do vậy một bức tượng cực lớn như dự định chỉ là một sự khiêu khích đối với các bà mẹ chân chính yêu nước, yêu con, cùng là nạn nhân của đảng CS. Vẫn chưa hết. Đất nước đã thống nhất về lãnh thổ nhưng chưa hòa hợp về tinh thần và chính trị như đảng CS đã hứa. Việc phong anh hùng cho các bà mẹ chiến sỹ miền Bắc và vẫn đố kỵ với các bà mẹ chiến sỹ Việt Nam Cộng hòa ở miền Nam là một việc làm thiếu đạo lý và công bằng, một sai lầm dại dột về chính trị, một lần nữa hạ nhục các bà mẹ chiến sỹ đáng kính ở miền Nam. Chỉ xin dẫn ra một thí dụ, bà Mẹ của liệt sỹ Ngụy Văn Thà từng cùng đồng đội chống trả dũng cảm quân bành trướng Trung Quốc cuối năm 1974 ở Hoàng Sa có nên được coi là bà Mẹ Anh hùng Việt Nam không? Có quá đi chứ. Få bilder forbindes så sterkt med Vietnamkrigen som bildet av napalmpiken. Det var den sørvietnamesiske fotografen Nick Ut som tok bildet. Bildeanalyse. En enkel bildeanalyse viser en skrekkslagen naken jente som løp mot deg. De andre barna på bildet hadde klær på, men virket like redde. Bak barna gikk sørvietnamesiske soldater med gevær i hånden. Langt bak ses en røykfylt himmel. Dette bildet virker så virkelighetsnært. Når vi idag ser på bildet som ble tatt for mange tiår siden, er det verdt å tenke på omstendighetene da bildet ble tatt. For det første var det ikke amerikanere på bildet. Flyverne som ved en feil slapp napalmbomber på landsbyen Trang Bang, var sørvietnamesiske. Også fotografen var sørvietnamesisk. For det andre løp sivilbefolkningen som regel mot Sør-Vietnams side, og ikke mot kommunistenes side. For det tredje viser bildet at det var sivilbefolkningen i Sør som måtte tåle de største lidelsene som krigen forårsaket. For bildeanalyse, se for eksempel Anja Jasinski Wrights masteroppgave «Visuell retorikk i politisk journalistikk. En analyse av tre avisers visuelle fremstilling av norske topp-politikere». Kim Phuc fikk behandling på sykehus under et 14 måneders opphold. Etter at kommunistene vant i 1975, brukte de henne flittig i sin propaganda for å vise at kommunistene hadde rett. Ja, hun ble brukt så mye til propaganda at hun ikke fikk tid til å studere. Etter mye klager fikk hun reise til Cuba. Der traff hun en annen vietnamesisk student. De giftet seg i 1992, og hoppet av og søkte om politisk asyl under bryllupsreisen. Kim Phuc bor nå i Canada. Hun ble UNESCO-Goodwill-ambassadør i 1997. Hun vier sin tid for å hjelpe krigsskadde barn. Historien hennes dreier seg først og fremst om en viljesterk person som reiste seg tross alvorlige skader. Det er også en historie om hvordan et krigsskadet barn ble utnyttet i politisk propaganda. Ironisk nok søkte hun asyl og ble endelig beskyttet mot dem som brukte henne for å vise at de hadde rett. Dagens journalister røper også bristende innsikt i den historiske konteksten. Journalist Toralv Østvang skrev at bildet «var trolig med på å tvinge president Richard Nixon til å gå av et par år senere.» Dette er feil, for Nixon måtte gå av etter skandalen ved Watergate, og ikke på grunn av bildet. Journalisten Kathleen Buer antydet at bildet «forandret verdens syn på Vietnamkrigen«. Dette stemmer ikke med fakta. Folk i USA og vesten endret syn på Vietnamkrigen allerede i 1967. Da bildet ble tatt i 1972, var synet ferdig endret. De fleste amerikanerne hadde trukket seg ut av Vietnam. Synet på Vietnamkrigen har begynt å endre seg i løpet av de siste årene, ikke på grunn av bildet, men bl.a. på grunn av nyere forskning og ikke minst takket være båtflyktningene som har kommet seg ut av Vietnam og fortalt om en annen virkelighet enn det man i Vesten trodde på i 1972. Les også: Mytar om krig og forsoning. Om ein sjekkar ei god sak, kan ein finne mykje rart.